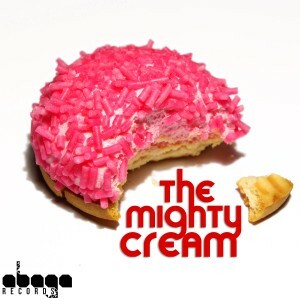 The debut EP from The Mighty Cream has turned out to be a good one, and its free! We’ll be launching the EP at Nu-Fire in Sneaky Pete’s (Edinburgh), so get yourselves down there for 11pm on October 22nd if you’re in town! Click here for the Facebook event. Sinister flute with brooding basslines is what to expect from ABAGA Records’ forthcoming free release. The Mighty Cream‘s debut EP consists of a track with contrasting dark and light parts that lead to a pounding culmination of merciless bass sounds, and two remixes picked from a barrage of entries to their remix competition: JZR, with his spacious slower skank, and Skoshki, with a dark, growling variant, using chord sweeps that add a light at the end of the tunnel. More music to come from this nascent duo, so keep your ears to the ground for this lot. ABAGA Records releases bass music, dubstep, jungle, drum & bass and other sub-heavy styles of music. Based in Edinburgh, the label provides a platform for artists to get their music heard, with both free and paid releases.